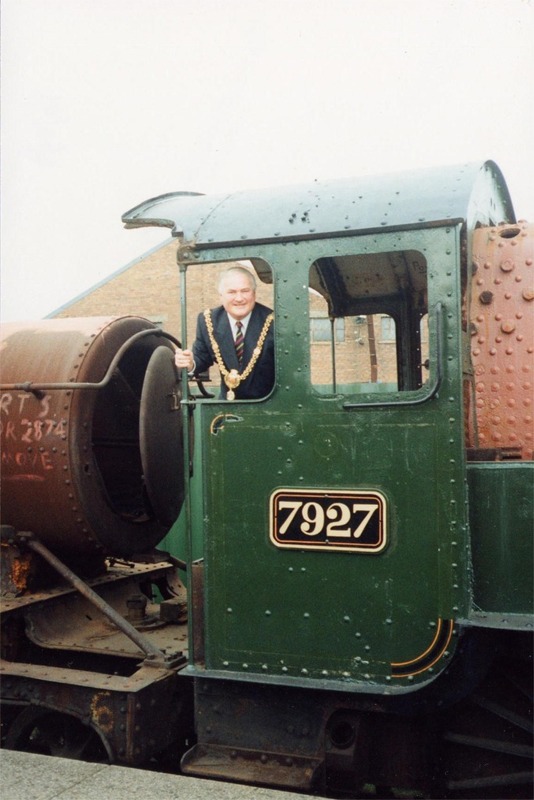 The extremely successful 'Hall' Class were introduced by C. B. Collett of the GWR in 1928 & were based on a rebuilding of a locomotive of the 'Saint' Class which was carried out in 1924. They were used on passenger & express freight trains all over the GWR system. In Wales they were to be seen on the South Wales main line working trains anywhere between Fishguard & the Severn Tunnel, & they also worked between Newport & Shrewsbury. In 1941 Collett's successor F. W. Hawksworth introduced the 'Modified Hall' or '6959' Class & it us to this latter class that No.7927 belongs. The design was so successful that 330 locomotives of the 'Hall' & 'Modified Hall' classes were built. 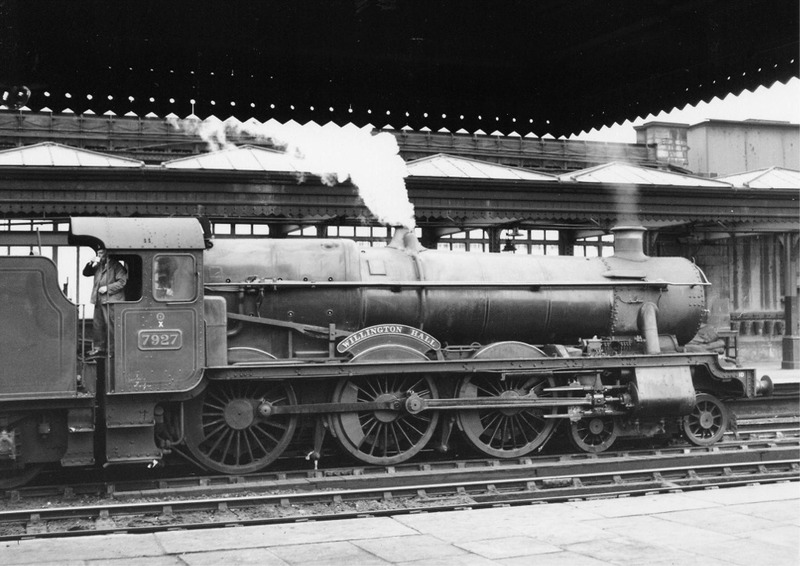 No.7927 was actually built after nationalisation, being turned out from Swindon Works by British Railway in October 1950. After a short working life it was withdrawn from service in 1965. First shed allocation was Reading. Conducted improved draughting tests February 1953. March 1959 shed allocation Old Oak Common. 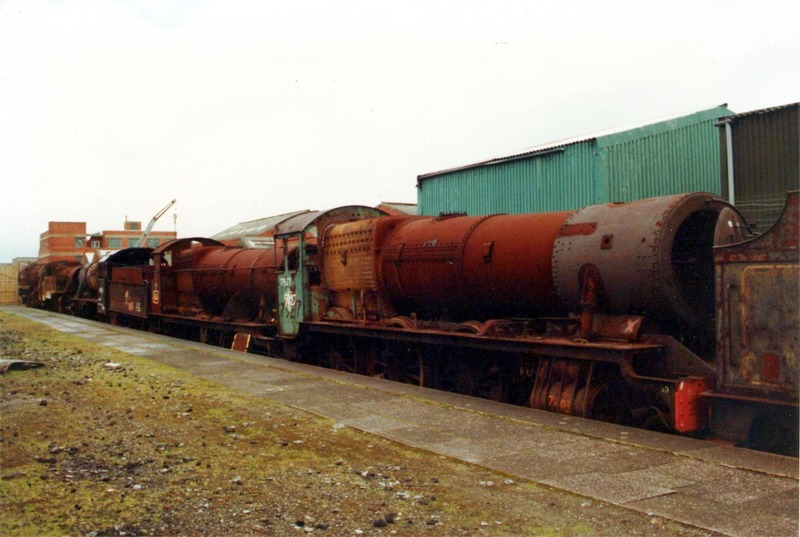 Transferred from Cardiff Canton to Cardiff East Dock shed September 1962. May 1965 shed allocation Cardiff East Dock. Last shed allocation Oxford. Withdrawn December 1965. Acquired by Woodham's, Barry February 1966. Bought by Wales Railway Centre, Cardiff. In 1987 an initial survey was carried out to assess the condition with the aim of establishing the priority for restoration. Brief details of this survey are as follows. Several bad patches on barrel would need welding. Copper laps in bad condition but rest of boiler in satisfactory condition. No tender.